Integrated Payments Setup – How can we help? Vend will create a Cash and a Credit Card payment type as a default. Other payment types that will appear as standard buttons on your payment page include; On-Account, Layby, Loyalty and Store Credit. You may also enable Gift Cards, as an additional payment type to be displayed on your register. 1. 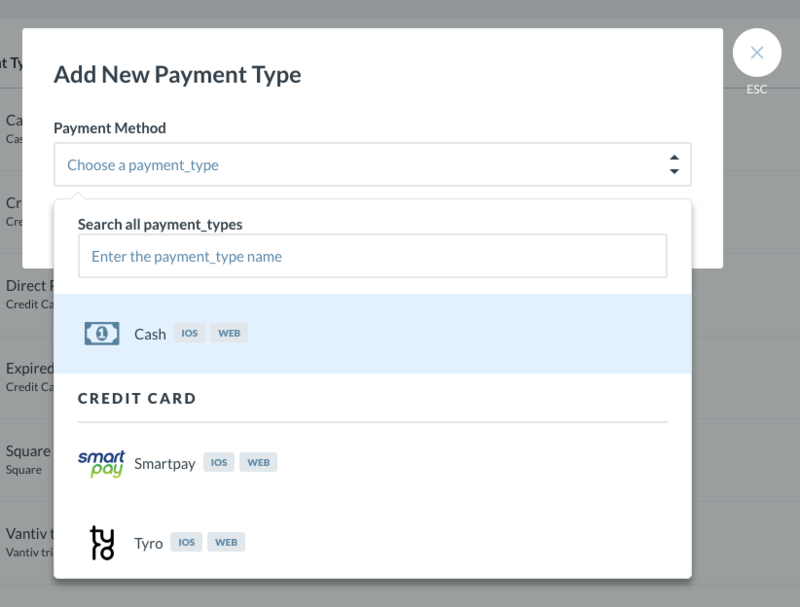 To add a payment type, navigate to Payment Types in the Setup menu. Click on Add Payment Type. 2. A drop-down menu will appear, and display the payment types available in your region. 3. Click on the payment type you want to set up. Another window will open, asking if you have details related to the payment type you want to set up. If you do not, click Find out more for more information on how to sign up. If you do have the required information, click on Begin Setup. Note: These screens will differ based on the payment type you have chosen. Click the links below for more information about the payment type you want to set up. 4. This will take you to a new page where you will then be able to set your payment type up and choose a name which will be displayed on your register. There are two different types of payments in Vend. Integrated and Non-Integrated payments. Vend's Gift Card feature allows you to issue gift cards to a customer and take payments using the gift cards you have issued. You will need to enable this feature on Vend. To learn how to setup and use gift cards, check out this article here. Afterpay is a Buy now, Pay later feature that is available to Vend customers. For more information on taking payments with Afterpay, check out this article. Important: If integrated with Xero, you will need to map your payment types to Xero accounts.